It seems like no matter how you try, you're never quite 100% ready for kidding to start. We're a bit later to start kidding this year, and with the terrible freezing cold winter we've had, we've been really glad that there are not kids on the ground when it's about 4°F in the morning. But the kids have got to start coming sometime, and we are expecting the first ones any time now. Looking at the ladies carefully for signs of impending kidding becomes second nature. We generally have a good idea when to expect kids from each doe, but we can be wrong! 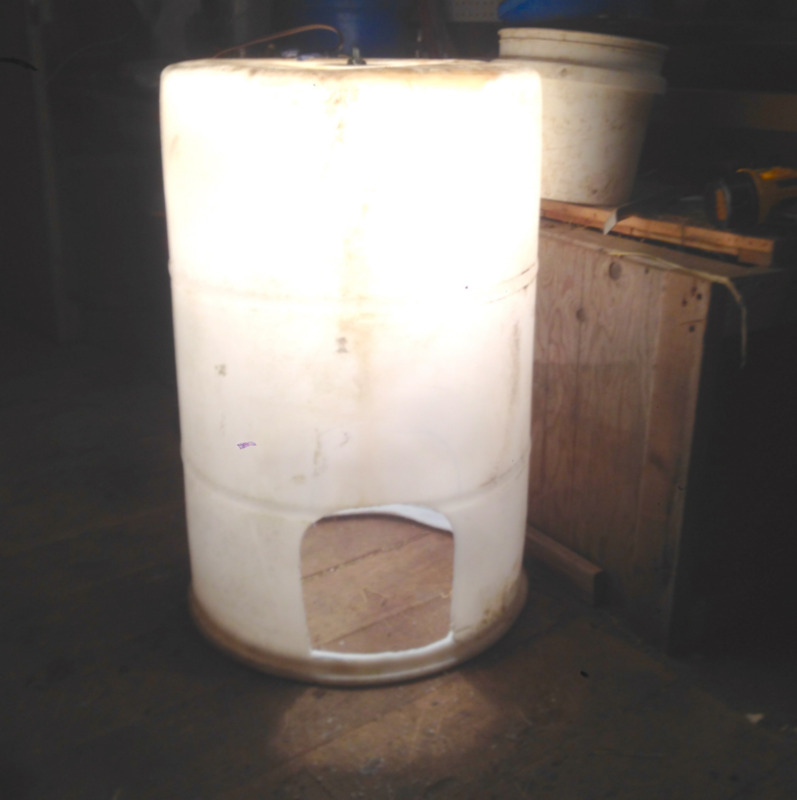 A couple of nights ago, in a flurry of last minute jitters, we busted out a kid warming barrel. Devin wires up the light. Eric keeps an eye on the proceedings. We have been checking on the girls overnight for the past couple of nights, but are really expecting to have a serious five or six days of kidding starting tomorrow. The yearling does and the bucks and wethers have been moved back to the old barn now that temperatures have moderated just a bit (knock wood!) It's nice to have goats back in the old barn, and it's really nice for all the expectant does to have the extra space. Now we're just waiting for the babies to arrive! The finished warming barrel will go in the new barn when kids start to arrive. Fiona and Regina have adjusted well to their new living arrangements.